What Happens at a Typical Dental Checkup? Dr. Murasko will conduct an oral exam of your mouth (for signs of oral cancer or other diseases), gums, and teeth; review your overall health and medicine use; diagnose any oral health problems; and make treatment recommendations. This is accomplished using digital x-rays, laser cavity detection devices and measurement of your gums, or other diagnostic aids as the doctor deems appropriate. Select the any title below to watch the videos of the common ailments we look for during a dental check up. If any oral health problems are identified during your examination, we will create a personal treatment plan. Your treatment plan will always include a good faith estimate of potential costs with or without insurance so you will know exactly where you stand. “I just want a teeth cleaning!” Sound familiar? For us, too! The question you need to ask is, ‘Which One?’ Did you know that the ADA and dental insurance companies recognize six different types of cleanings? The reality is that “just a cleaning” is actually a medical-legal treatment based on a specific diagnosis. The doctor needs to actually diagnose your oral condition, whether healthy or in need of some help, then provide treatment based on a diagnosis. Remember, your diagnosis is based on your clinical presentation and history, and your treatment is based on the diagnosis. Many people avoid going to the dentist because they are uncertain of costs. Crossings Dental solves this legitimate concern by providing to you treatment costs up-front. After your exam, should you need treatment, we can better estimate your costs, with or without insurance. You will not be under any pressure and when you leave you will have in your hands a full understanding of any treatments needs and their costs. Even if you have no visible dental issues an annual dental checkup is the perfect time to have us take a little closer look. 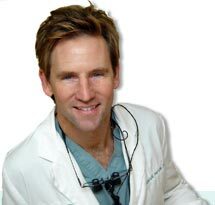 Dr. Murasko has over 18 years experience with cosmetic dentistry including all types of denture implants. Call for an appointment: 1-760-598-8881 or complete the form below to your right call you with the first available appointment time.